Let this citrus-floral scent energize your senses and inspire your next adventure. Top notes include pink grapefruit and berry blossom. Middle notes feature coral honeysuckle, tuberose and Indian jasmine. The bottom note is silky musk. 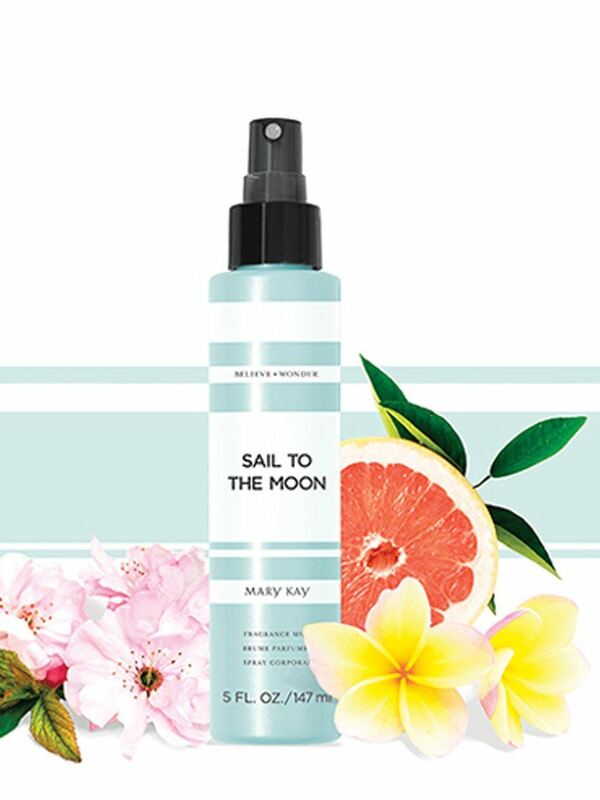 Pair the Fragrance Mist with Sail to the Moon™ Shower Gel and Body Lotion to create a collection. Makes an ideal honeymoon/bon voyage gift or special treat for the adventurous people in your life. Gaze up at the moon and wonder about your next adventure with this exciting citrus-floral blend. An exhilarating burst of pink grapefruit and berry blossom merges with a mesmerizing floral bouquet. 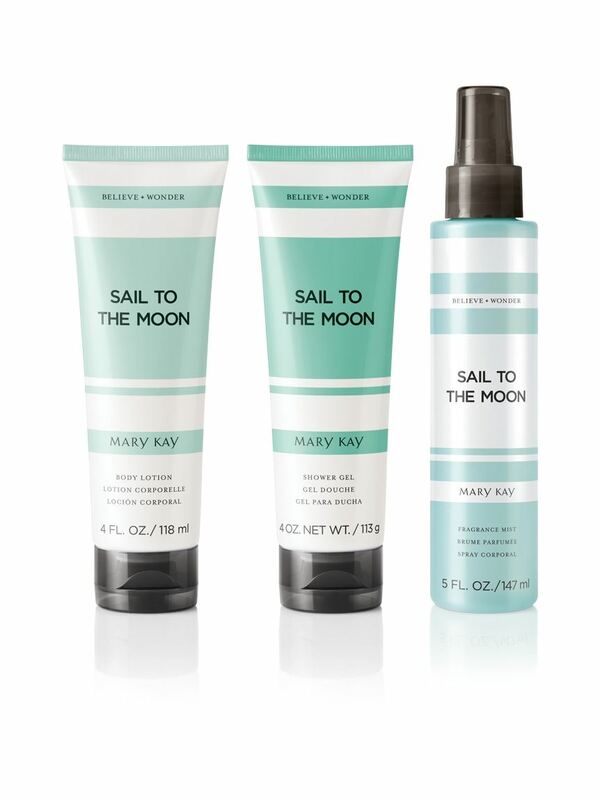 Complete this experience with Sail to the Moon™ Shower Gel and Body Lotion, each sold separately. Sail to the Moon™ Fragrance Mist is part of Believe + Wonder™, a collection of inspirational fragrance mists, shower gels and body lotions which also are available in Chase a Rainbow™ and Paint the Sky™ scents. Each scent is designed to open your eyes to the infinite possibilities all around you and wonder: What if? What now? And what’s next? Clarify your next move by believing in the power of your dreams.